After the 1990 restoration of democracy, and at the cusp of a new millennium, globalisation arrived in Nepal with a bang. Call centres catering to international clients sprang up, travel and tourism boomed, Nepalis started migrating overseas for work, and made-in-Nepal carpets, garments and pashminas started being exported all over the world. Weavers, tailors and workers needed for the factories flocked to Kathmandu Valley, feeding its rapid urbanisation. Nepal seemed to be living the prediction of Francis Fukuyama, who declared capitalism to be the end of history. It was also the end of geography. But Fukuyama was proven wrong, the global economy was hit by multiple economic crises and recessions, and Nepal’s export market collapsed. 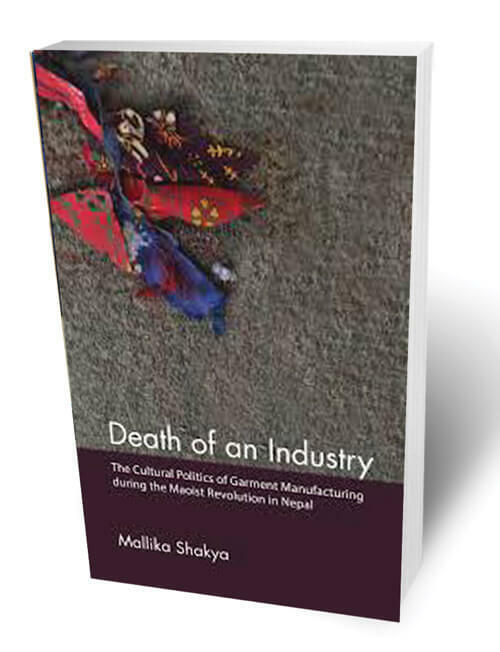 In her book Death of an Industry, Mallika Shakya traces the history of the rise and fall of Nepal’s garment industry. It all started in 1974 with the American Multi-Fiber Arrangement (MFA) which allocated quotas to garment imports from developing nations. 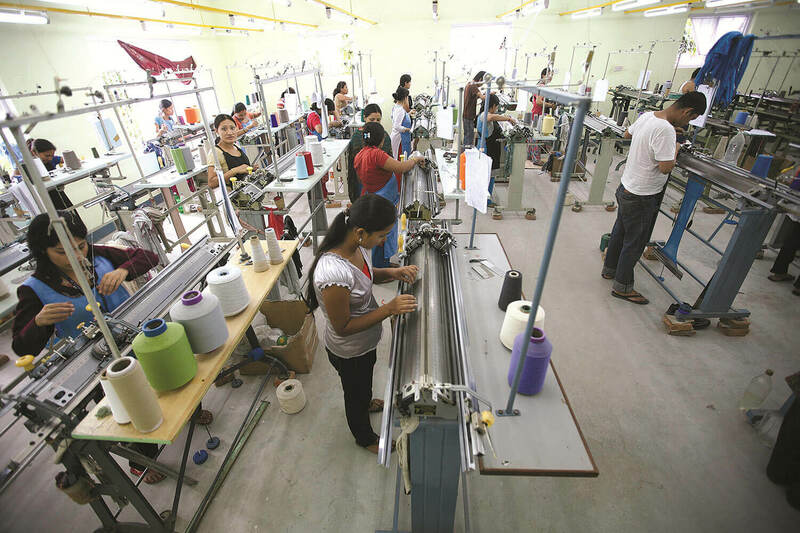 Its actual intent was to protect its domestic industry, but it suited Nepal well and a garment manufacturing industry materialised almost overnight, becoming the country’s fourth-largest export at one point. 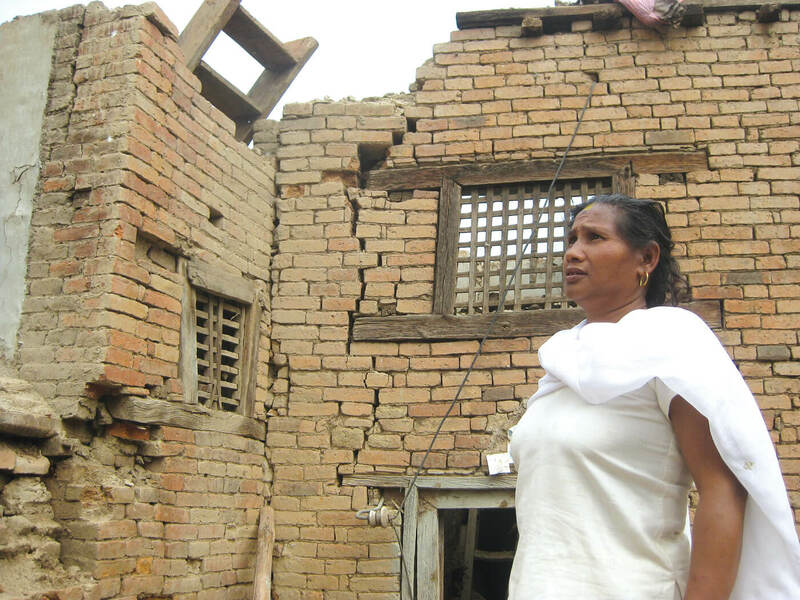 When the MFA finally lapsed in 2004, Nepal’s garment industry collapsed. Shakya takes issue with how this demise was considered natural, even inevitable, by the state, and how workers were left to fend for themselves. Most opted to migrate to the Persian Gulf, fuelling another industry. ‘The state felt well grounded, technically in its assertion that the industry collapsed because it could not compete in the global market. It was felt that if it was not good enough, it did not deserve to live, and the state felt legitimacy in ignoring the plight of millions employed by the industry,’ Shakya writes. 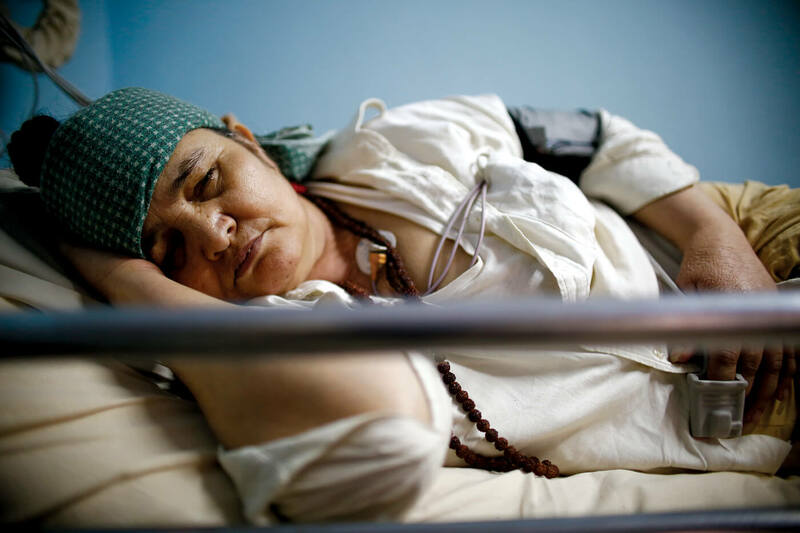 For Shakya, the garment saga epitomises ‘the hegemony of neoliberalism’, which became mainstream in Nepal in the 1980s with World Bank’s Structural Adjustment Program (SAP), and after 1990 with the free market principles. An industry once made up of 1,200 firms now has only 50, and survives on orders that have no other takers. Apparel exports from China, India and Bangladesh flourished even after the MFA because cheap labour made them more competitive. Nepal’s products were up to 30% more expensive in comparison. However, for Chandi Prasad Aryal of the Garment Association of Nepal, it was not just a question of free market competition. “We need state support to make our products competitive in the world market. Governments in India and China give 11-16% export subsidies to garments, and that makes their products cheaper. Without that, our products will always be more expensive,” he explained. History also shows that industries have not developed with just a laissez-faire policy, and the state always has a role to play in industrialisation of now-developed countries like Korea, China and Taiwan. In Nepal though, the garment and carpet industries went through boom and bust cycles, but were left to fend for themselves. “In our neighbouring countries, such industries get state support in the form of land on lease and bank loans at low rates. Such support, and economic diplomacy to secure the right of seaport access for a landlocked country are necessary to make us competitive,” says Ram Bahadur Gurung of the Central Carpet Industries Association Nepal. Nepal’s pashmina export is another industry that boomed, then collapsed. It is still relatively well placed with its trademarks registered in 47 countries, but struggles to raise annual sales above Rs5 billion. “Our sales are based on fashion, and we cannot predict the ebb and flow of fashion in our markets. The state needs to help us send our young designers abroad to study, so that we are able to break into the design sector,” says Durga Bikram Thapa of the Nepal Pashmina Industries Association. In her book, Shakya cites how one garment factory tried to climb the supply chain hierarchy by sending a young scion abroad to study design. He realised that gauging global fashion trends set by a handful of influential European designers was beyond him, and declared his years of learning wasted. That is still the case in Nepal’s garment industry, where the design, size or fabric are all decided beforehand. Workers in Nepal’s garment industry were desperate enough to accept extremely low pay for arranging cut cloth, sewing the main body or the hands or the neck parts, quality checking by measuring against the size specifications as much as six times, and cutting the extra threads off the finished product. Shakya calls this the ‘penultimate satanic mill of faceless proletarianisation’. Workers had no creative inputs, no share of the profits, and their highly specialised skills were useless elsewhere. 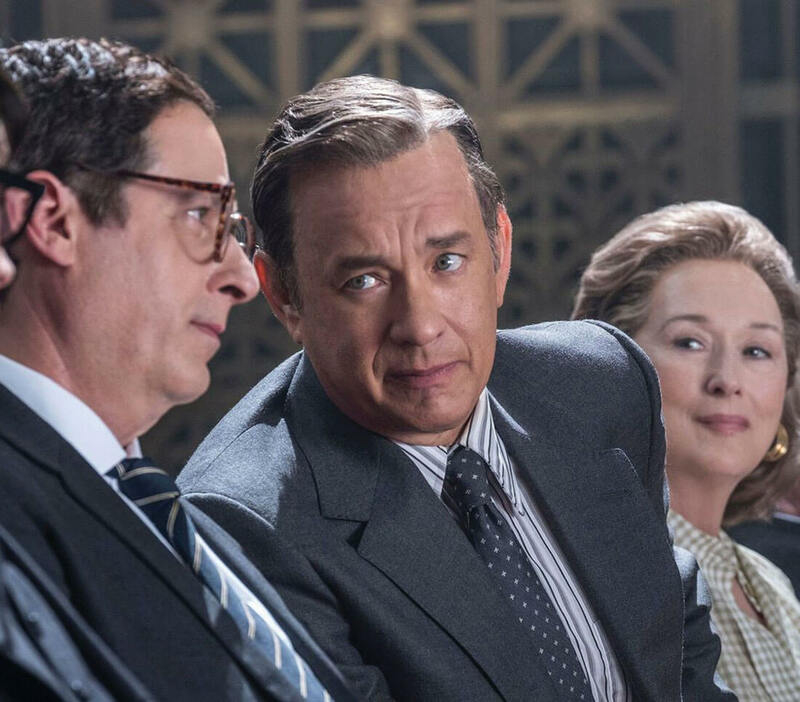 So, they had nothing to fall back on when the industry collapsed and western buyers simply gathered up their profits and took their orders elsewhere. They had no inkling as to why the industry came and went, or how it left Nepal’s environment polluted and increased urban poverty. Shakya returns to this theme of the helplessness of the Global South again and again in her book. Nepal is small fry on the world stage with no clout in matters affecting its citizens. Even while the US government and the World Trade Organisation decided the MFA’s time was up, factory owners in Nepal fell back on fatalism and conducted religious rituals to ward off the curse. Nepali businessmen did try to lobby for an MFA extension, but could not even find someone to table the bill in the US Congress. After the Rana Plaza collapse in 2013 in Bangladesh in which nearly 3,000 workers were killed, all of South Asia suffered from the negative western media coverage of exploited workers in dangerous sweat shops. The international media fell back on an orientalist view to blame lax building standards and corruption, ignoring that it was the end of the MFA had forced countries to be competitive by cutting corners. Shakya denies her book is angry or pessimistic in tone, and says she offers alternatives. Since the garment export business was created by global economic factors, the feeling here was that it was beyond Nepal’s control. Hence, its loss meant nothing to Nepal. Although the industry initially attracted Indian investors using Nepal’s quotas, over time the factories were populated by Nepal’s poor, and owned by Nepalis – and they suffered when the MFA lapsed. The alternative to this outlook, Shakya says, lies in policies that take ‘human economy’ into account, where the welfare of workers is priority. Nepal’s prolonged political transition is now replaced with ruling Communists who have promised economic prosperity through political stability. The country’s planners should read Shakya’s book to learn lessons from the recent past – the main one being finding alternatives to pervasive global neoliberalism that she says has done more harm than good to Nepal.